The Adirondack Thunder welcomed 101,883 fans into the Glens Falls Civic Center during the 2016-17 regular season, some 13,253 more fans than the 2015-16 season, team officials reported. According to the organization, Adirondack was one of 11 ECHL teams to see attendance increase from 2015-16 to 2016-17. 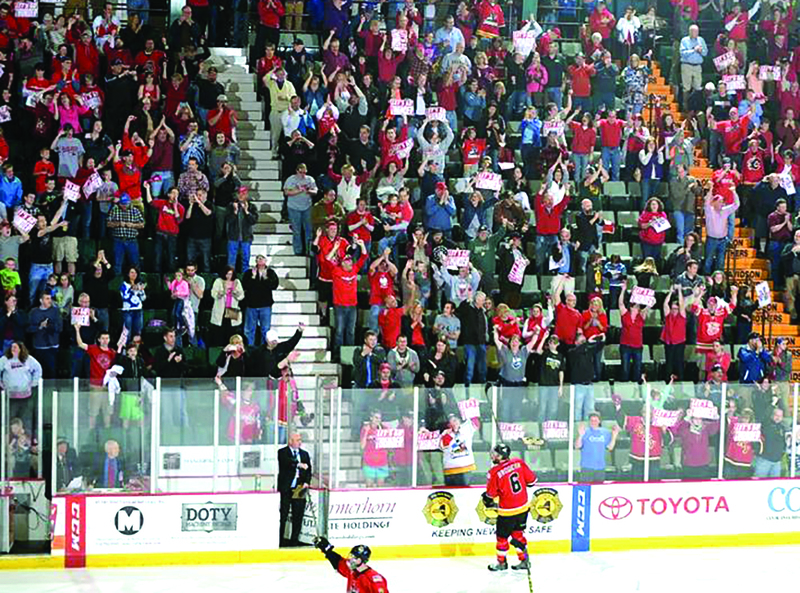 The team’s 15 percent attendance increase was the largest in the ECHL this season. The Thunder saw an average of 368 more fans on a per game basis during the 2016-17 season, bolstered by three sellouts, up from one last season, officials said. The team had two crowds of greater than 5,000 fans, including a franchise record 5,135 fans on Feb. 25. Officials said the attendance growth began with season ticket sales as the Thunder ranked tied for first in the ECHL with a 97 percent season ticket renewal rate and second in new, full season tickets. Adirondack has already sold over 100 new full season tickets for the 2017-18 season. The Mill of Glens Falls was sold recently to two people in the commercial real estate development field. 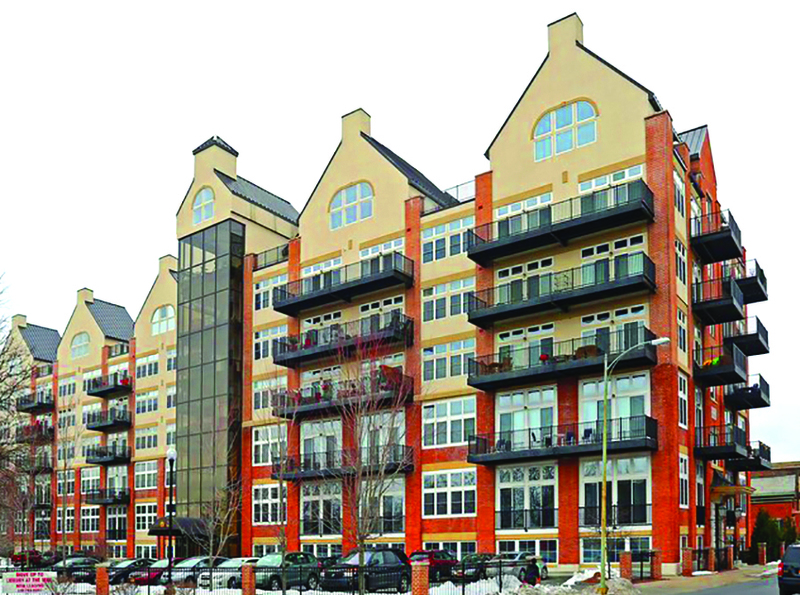 They plan to add 18 apartments to the second floor. The commercial real estate market in the in the Glens Falls/Lake George area is doing fairly well and for brokers in the field there is a feeling of optimism. Most recent evidence was the sale of The Mill of Glens Falls which closed recently, brokered by Mark Levack, owner of Levack Real Estate in Glens Falls. It has been purchased by Mark Rosen of Dawn Homes Management LLC in Albany and Marc Paquin of Cass Hill Development Co. in Clifton Park. Levack said the owners “are excited to be in Glens Falls” and they received approval from the city in early April to add 18 apartments, bringing the total number of apartments in the six-story complex to 65. The second floor of the structure was never developed. Space on the first floor, which also is vacant, was designed for retail or restaurant use. Levack said there were three parties of interest that made offers for The Mill, among them Rosen and Paquin. 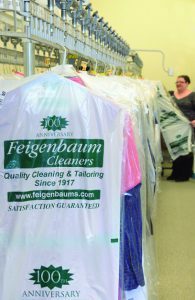 Feigenbaum Cleaners, one of the oldest dry cleaning businesses in New York state, is celebrating its centennial anniversary. The Glens Falls shop is at 89 1/2 Bay St., and there is a Queensbury shop at 118 Quaker Road, in Quaker Plaza. Other shops are at 33 Railroad Place in Saratoga Springs and at Wilton Square, 3039 Route 50, and there is one in Latham. 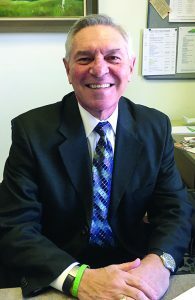 After more than six years as executive director of the Lake George Regional Chamber of Commerce, Michael Consuelo, CHME (certified hospitality marketing executive) is retiring. Consuelo’s departure will be at the end of the Chamber’s fiscal year, Sept. 30. The board of directors has launched a search for a new executive director. Consuelo, who resides in Lake George, has worked in the hospitality industry–primarily in hotels and resorts–for most of his career. He has worked for companies such as Hyatt Hotels, Marriott, and the Walt Disney Company. Locally, he assisted in the opening of the Great Escape Lodge. The local tourism industry is the second largest economic driver in Warren County, behind health care. Glens Falls Hospital announced that Jerry Gretzinger has joined its leadership team as director of communications and marketing. Gretzinger brings over 20 years of experience in the communications industry to the hospital. Gretzinger spent many years at WRGB CBS 6 News in Niskayuna, where he was an evening news anchor and reporter. 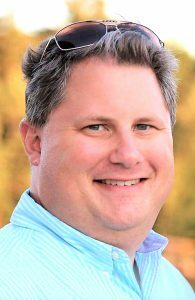 He has worked in communications and marketing management in the theme park industry and higher education and has served as a communications consultant for small businesses and non-profit healthcare organizations. He has a Bachelor of Arts in communications from Marist College. Adirondack Health Institute announced the appointment of Jeffrey Hiscox as chief compliance officer. Hiscox oversees and monitors the development and implementation of AHI’s compliance program, with a focus on Delivery System Reform Incentive Payment (DSRIP) program compliance requirements. He also directs methods to improve efficiency and quality of services and reduce vulnerability to fraud, waste and abuse, such as conducting periodic audits, developing effective lines of communication on compliance issues, and preparing, maintaining, implementing, and disseminating written practice standards and procedures. Hiscox has held a number of roles over a 32-year career at IBM Corp. in Armonk, N.Y., advancing to the rank of risk and compliance officer. In that role, he was responsible for shaping regulatory health for 41 financial services clientele and executing information technology operational risk. Hiscox has also held the role of chief operating and compliance officer for two organizations–Building Performance Institute in Malta and Greenewit LLC, in Columbia, Md. 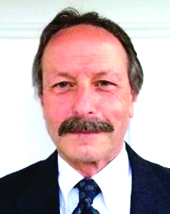 He earned a Bachelor of Science degree in management science from Columbia State University in Clifton, Tenn.
Steve Babson II is an Edward Jones financial advisor with a new office at 55 Bay St., Glens Falls. He helps clients build personalized strategies to achieve their financial goals. Steve Babson II started his professional career almost 20 years ago in downtown Glens Falls, and it now appears to be coming full circle. 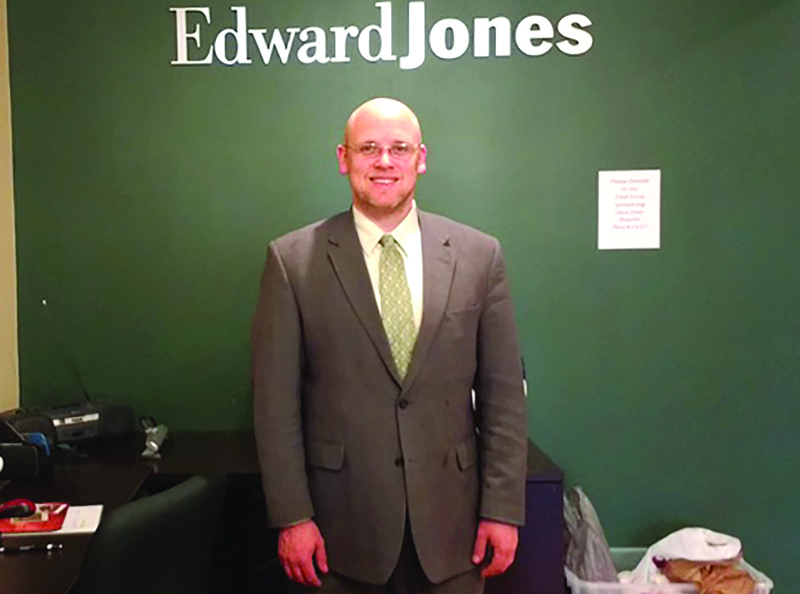 Today, the Glens Falls native is an Edward Jones financial advisor with a new office at 55 Bay St., Glens Falls. “I like to say that I started my career a block out of the heart of downtown Glens Falls 17 years ago and I’m finishing a block out of downtown Glens Falls in the other direction. I want to continue to help people as best I can, listen to them intently and create strong plans so they can have the future they envision,” said Babson. Babson graduated from Glens Falls High School and SUNY Oswego before opening a coffee shop at the old Triad’s building, currently Rock Hill Café. He spent some time with The Chronicle, before working with the Regional Radio Group as a sales representative. He then started to follow a path in business and finance working in banks in both Glens Falls and Mechanicville. 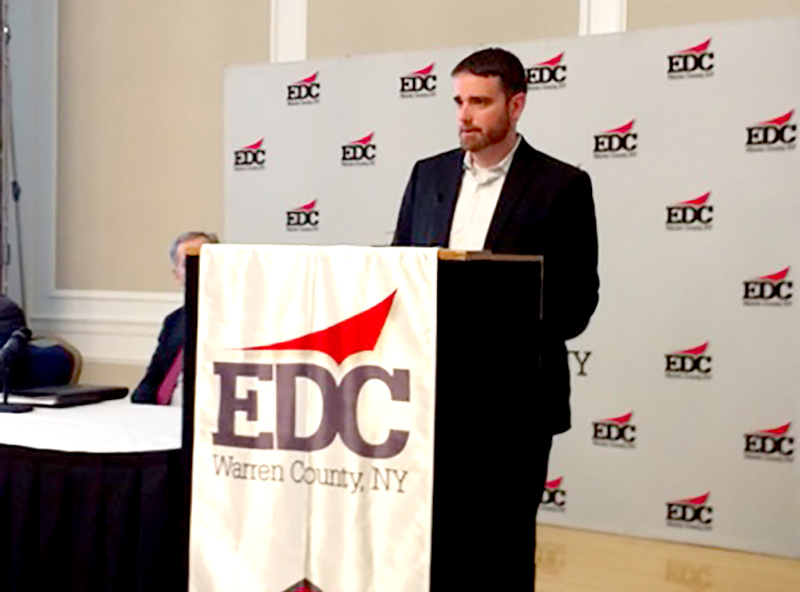 Andrew Kennedy, president and CEO of the Center for Economic Growth, outlined the services his agency can provide at an EDC Warren County breakfast at the Queensbury Hotel in March. “It’s great to see the revitalization in the region, especially in the city of Glens Falls,” said Andrew Kennedy, president and CEO of the Center for Economic Growth (CEG) leading off his remarks at the annual EDC Warren County economic outlook breakfast at The Queensbury Hotel in Glens Falls on March 22. CEG is the regional economic development organization for the greater Capital Region and New York’s Tech Valley that includes Warren County. He was one of three speakers at the event, each of them with talking points about how public/private partnership and collaboration have helped–and can continue to be a vital part of–local economic development. Kennedy outlined the services his agency can provide, such as helping attract new business and investment, supporting programs that allow businesses to thrive and preparing communities for development opportunities when they arrive. Among the specific programs Kennedy viewed as important was the Business Growth Solutions program for small to medium-sized companies in the manufacturing and technology sectors across several industries. CEG team members and third-party partners help businesses find new revenues and increase profitability. He said it has had a $40 million impact on the area’s economy. “We like to be that sort of connective tissue, that one-stop shop,” for assisting businesses, said Kennedy. The Glens Falls Civic Center will host the Garden Bros Circus–a family tradition for over 100 Years–on Friday, April 21, for two shows, at 4:30 p.m. and 7:30 p.m.
Garden Bros Circus celebrates 100 years entertaining families throughout North America. 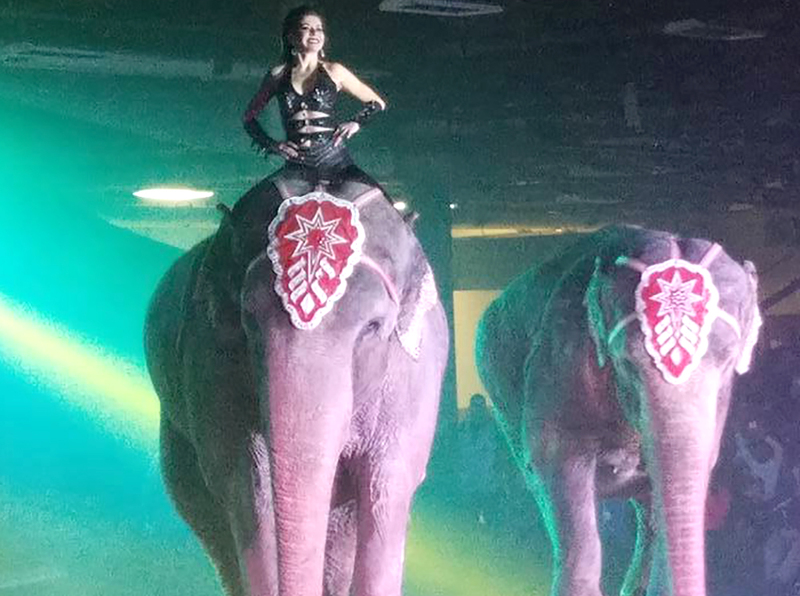 Circus officials said it will be the last chance to see the live elephants act. Ryan Van Amburgh is nominee for an award based on raising funds to fight cancer. A local resident and economic development official who has been battling cancer is using his story to help motivate donors during a 10-week intensive campaign to raise money toward curing cancer. Ryan Van Amburgh agreed to become a nominee in the Upstate NY/VT Chapter of the Leukemia & Lymphoma Society’s Man/Woman of the Year fundraising campaign. Proceeds raised during the campaign will directly fund cancer research. For every dollar raised by the Van Amburgh family, Ryan receives a Man of the Year vote until the conclusion of the campaign on May 12. That’s the night of the society’s grand finale event held at 8 p.m. at the Franklin Plaza Ballroom in Troy, when winners will be announced. One of the top philanthropic events of the year in the Capital Region, tickets and sponsorships for the finale, benefiting Van Amburgh ‘s campaign, can be purchased online at www.ChangeTheStory.Today. Direct donations to his campaign can also be made at that site.